The promises of successful development and lasting prosperity The United Russia has been giving society on the eve of elections in former years again and again turned out to be fiction. But while formerly the ‘governing party” could at least formulate a positive development program and cause many citizens to believe that these promises were real, now it is incapable of doing even that much. Society in general does not hear from the authorities anything remotely resembling a coherent electoral program. Yet in spite of this, United Russia demonstrates confidence in an unqualified electoral victory. This despite the worsening crisis, appalling corruption, in spite of the rapid impoverishment of the people, in spite of its inability to stem these processes. What makes the authorities sure of another electoral triumph? First of all its conviction that the citizens, while experiencing all the negative consequences of the crisis, are still not aware of its true scale and consequences. They do not see its masterminds and the direct link of what is happening with the essence of the social-economic system. A system for whose preservation they are again being urged to vote by the representatives of the “governing party” and establishment propagandists. The popular-patriotic forces of Russia led by the CPRF are entering the State Duma elections with a coherent and constructive program that meets the interests of the absolute majority of citizens. The basis of our program is the ideology of social justice and friendship of the peoples, the principles of building a social state, concrete tough measures to combat corruption and the plundering of Russia. Being aware of its helplessness and inability to win in a fair contest the governing party is deploying against the CPRF a dirty provocation campaign. 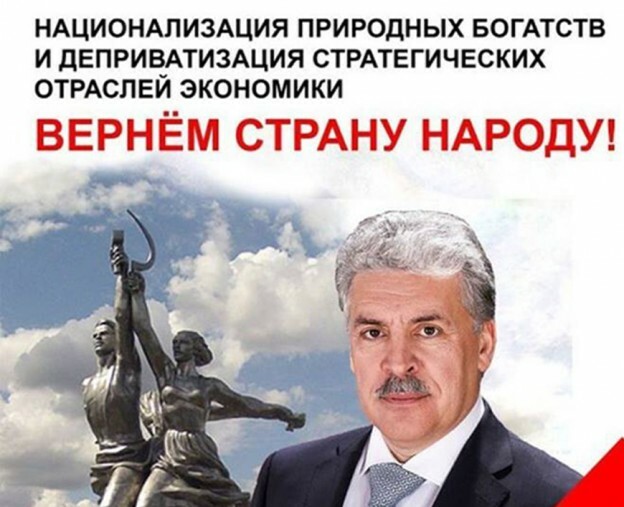 The appearance of ”doubles” of the CPRF candidates, the creation of spoiler parties, the issue of huge numbers of fake newspapers purporting to be published by the CPRF – this only begins the list of ”political technologies” used in the election campaign. Pressure is being brought to bear on party activists and those who cooperate with out organizations. Cases have been registered of attacks on them, including with the use of firearms. Provocateurs are active at the meetings of our candidates with their constituencies and commit acts of hooliganism. The list of outrageous facts is growing by the day. And they fail to be properly assessed by the representatives of government bodies. All this shows that the machine of falsification is ready to do its dirty work, and this gives us serious cause for concern. 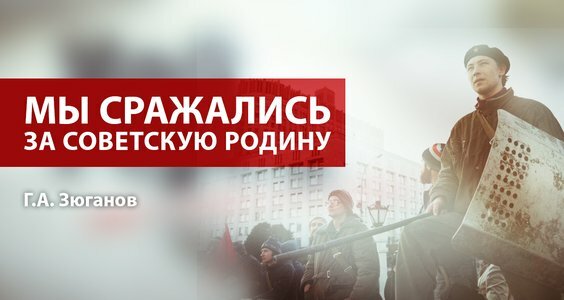 One important fact is that today, at the instigation of the United Russia, the rules of access of journalists to elections have been tightened, the number of observers has been dramatically cut and besides, the procedure of sending them to observe elections has become much more complicated. This creates conditions for all kinds of abuses. The CPRF has never given up its struggle for reviving all the best features of the Soviet system, and for the study and introduction of all the advanced world practices. We insisted and continue to insist on bringing back under state control the strategic sectors of the economy which today are used by the oligarchy to enrich itself. Enrichment at the expense of vital interests of the country and the people. This is the only way to stop “offshorization” and plundering of Russia. We insisted and continue to insist not only on a bigger role of the state, but on increasing its responsibility to its people. We demanded and will demand the restoration of the rights of the working man which have been trampled underfoot. We will insist on the restoration of industry and agriculture, support of people’s and collective enterprises, higher living standards, abolition of crippling charges for capital repair of housing and new land taxes. We have fought and will continue to fight for a cardinal change of policy in financing healthcare, science and culture. Quality medical care and quality education must again become totally free and accessible to everyone. All the proposals of the CPRF have been set forth in our program “Ten Steps Towards a Decent Life.” But for these demands to be implemented, there needs to be a change of the socio-economic course. It can only be legislatively ensured if the elections are won by the state-patriotic forces, only if the parliamentary majority belongs to the supporters of a policy that meets the interests of the people. Only then will it be possible to prevent the implementation of the government’s destructive plans connected with the new draft state budget, with the final refusal of the authorities to meet their social obligations to society. If Russia is to survive and recover a new course, a new team and a new policy are needed. A defeat may turn out to be irreversible. That is why the price of the coming elections is very high. As we go to the polls on 18 September every citizen will answer the main question: in what country will we, our children and grandchildren live? It is simply a crime to be silent and do nothing. That was how 25 years ago, in 1991, we spinelessly and irresponsibly gave our common Motherland away to be torn to pieces. None of us has the right to repeat that tragic mistake. This entry was posted in Articles on August 31, 2016 by International Department.